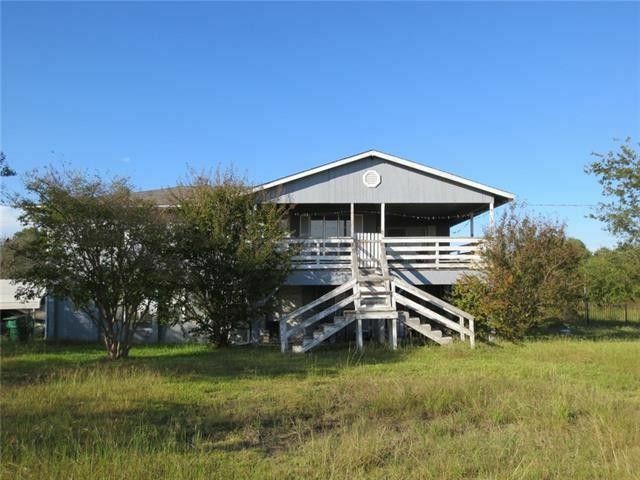 Enjoy tranquil countryside views of this 5 acre parcel from the huge covered balcony or porch of this unique home. The flexible floor plan is suited for multi-generational living. Downstairs: Living, Study, Dining, Kitchen and Full Bath. Upstairs: Living, Dining, Laundry, Master Suite, Second Bedroom and Full Bath. Carport provides covered parking, acreage is cross-fenced, storage shed. No HOA, outside city limits. Property needs TLC, sold As-Is. Directions: I-30 to Fate, FM-551 North, right on Hwy 66, left on Prince, property at end of lane on right, drive through black iron entrance then take drive to the right.